What Caused The Samsung Galaxy Note 7 To Catch Fire? The Galaxy Note 7 was subject to several malfunctions that can be tied to this manufacturing issue. 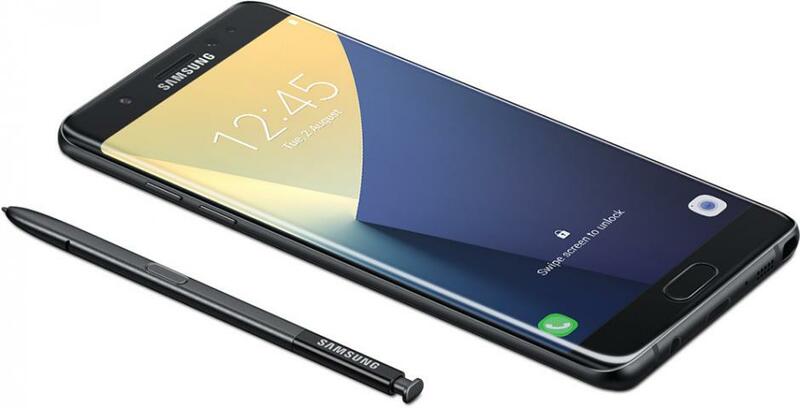 The Samsung Galaxy Note 7 was privy to several issues, including fires and what many would describe as “explosions.” As a result, users were asked to discontinue use of the phones and even trade them in for new devices as part of a Galaxy Note 7 recall. This has been going on for the past few months in fact, with issues cropping up here and there as Samsung began investigating exactly what happened with the phone. After all of the issues surrounding Samsung’s Galaxy Note 7 launch, the technology giant has finally concluded its investigation into why the product failed in the first place. Perhaps unsurprisingly, the issue all along was a design flaw with the battery. When did Samsung officially stop selling the Galaxy Note 7? Samsung ceased sales of the phone on October 10 and shortly after announced that it would be permanently discontinuing the line on October 11. What was the manufacturing issue that caused the Galaxy Note 7 to malfunction? According to Samsung, one of the causes of the first few fires with the Galaxy Note 7 happened to be a design flaw involving the upper right corner of the battery. This could lead to a series of short circuits in the “jelly roll” of sorts that the Lithium-ion battery is made with. Even with the replacement phones that Samsung decided to release there was still a manufacturing issue with a welding defect that appeared in the second pressing of the phones’ batteries. This caused a short circuit as well. Why did some Galaxy Note 7 phones get bricked? Though Samsung had asked owners to trade in their phones in return for cash back or better devices, many users had still continued to use their Note 7 phones with no regard for those requests. As a result a firmware update was issued that essentially caused the phone to stop charging. This made it useless since users weren’t able to keep it charged up for normal use. What is Samsung doing to keep this from happening in the future? Aside from recalling the units and bricking the remainder of devices that owners didn’t turn in, Samsung has created a brand new lab with which it can test upcoming units. It showed off the lab during Sunday’s press event where it discussed the issue and manufacturing problems. Hopefully this new testing lab will ensure the very same kind of issue doesn’t rear its ugly head again in the future. What kind of damage did this malfunction cause business wise for Samsung? Samsung is reporting an estimate of a final tally of $5 billion in losses due to the “Note 7 issue,” which it has dubbed the manufacturing problem. Be sure to check out the rest of our coverage of the Galaxy Note 7 and the controversy surrounding it here at Modojo.